TAMPA — The results are in. Hillsborough County schools have been testing for radon in your children's classroom after our I-Team revealed that the district had not tested for the radioactive gas in 20 years. The EPA recommends testing every five years. Investigator Adam Walser has the results and talked to the man in charge of overseeing the testing about what's being done to fix the problem. The I-Team first uncovered in August that Hillsborough County Schools hadn't tested for radon for decades in some of its schools. “I didn't have any idea that this was an issue,” said Hillsborough County Schools’ Safety Director Corries Culpepper, when we pointed out the old data back in August. The last test readings available showed hundreds of classrooms exceeded recommended radon levels. In some cases, levels exceeded what the EPA considers dangerous exponentially. “The data that you're showing me, some of these levels are extraordinarily high,” said Dr. Matthew Shabbath, who tracks cancers at Moffitt Cancer Center. He said experts believe radon exposure is responsible for the deaths of about 21,000 Americans each year. “It can cause lung cancer. It can cause things like leukemia and lymphomas as well,” he said. After our investigation, Culpepper sent letters home to parents, instructing them that all of Hillsborough County Schools’ 230 schools would be tested over the next 90 days. The district hired multiple contractors and relied on maintenance staff to carry out the testing. “It was a very huge undertaking,” Culpepper said. “I knew we would find something,” he said, noting that hundreds of classrooms tested high for radon the last time widespread testing was done in the mid-1990’s. Results are in for 210 schools, showing high radon levels in 40 classrooms at 11 schools. Those included Brandon High and Colson Elementary School, which both had high radon levels the last time they were tested. “We took the proper steps, not only testing but retesting and mitigating these issues,” Culpepper said. When high levels were found in a classroom, those students were moved to other rooms while the radon was mitigated. In some cases, this took several days. Culpepper says all of the identified radon issues so far have been successfully mitigated. Workers moved radon gases out through air conditioning systems, using positive pressure in those classrooms. The district then retested rooms to make sure mitigation was successful. 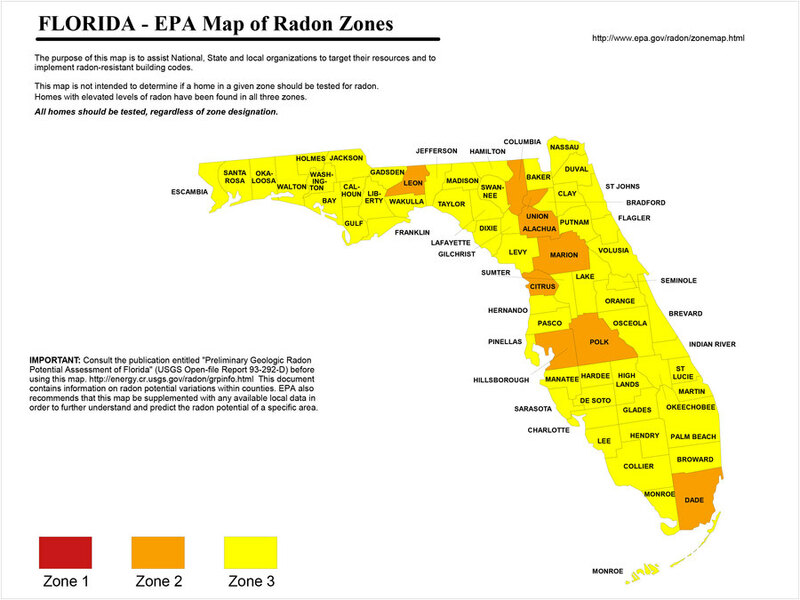 Culpepper believes all districts in Florida should do regular radon testing. “I think we should, because of the importance of kids. We're in the kids’ business. It's very important we keep our students safe,” he said. He said Hillsborough County Schools plans to re-test classrooms at least once every five years. Culpepper expects to have the results for the final 20 schools to be posted in the next couple of weeks. You can see all the results available now at this site . If you have a story you’d like the I-Team to investigate, email us at adam@abcactionnews.com .